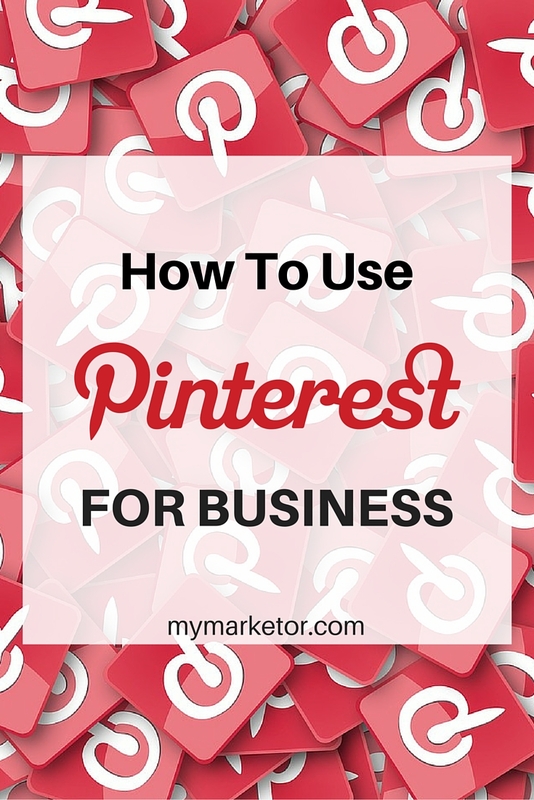 Are you using Pinterest for business? Pinterest is a fun and creative social media platform with a huge fan base pinning everything from food to fashion to inspirational quotes. It’s where people come to be inspired; users can share and collect their favorite images and videos based on their interests, needs, and love on a virtual bulletin board. Why Does Pinterest Matter for Your Business? Tweets only last seconds, Instagram feeds are moving quickly and organic reach on Facebook is declining, but Pinterest images are always available to view. And, with the platform search feature, older pins can be easily found and bring in long-term, sustained traffic. According to Shareaholic, Pinterest currently drives 7.1 percent of Web traffic, second only to Facebook (21.3 percent), and is miles ahead of other social sites. Today there are more than 100 million monthly active Pinners. 44% of online women use the site vs 16% of online men. Those under the age of 50 are also more likely to be Pinterest users. Pinterest has become a go-to search engine for many. They may be looking for a recipe for tonight’s dinner, a dress for a special event, or marketing ideas for their business. Before talking about how to use Pinterest for business, it’s important to know its lingo. A Board is where you can post a collection of images around a particular topic or interest. You can have several boards and add or remove images as needed. A pin is an image that you share on your board. A pin can be added directly from a website or uploaded from a computer. Pin or Pinning – when you post, upload or add a picture to your board. A Pinner is a person who is pinning. Re-pin or Re-pinning – when you add an image on your board from another Pinterest user. (go to https://business.pinterest.com/en) and verify your website to have access to analytics. Use a high-quality photo or logo that brands your company well and that your fans will actually associate with your brand. Consistency is the name of the game. Don’t change your profile picture very often and use the same image on all social platforms. Let Pinterest users know what your business is all about in 160 characters. Use keywords. Verify your website to have access to analytics. Pinterest cannot connect your business Facebook account/page, they currently only support personal Facebook accounts. Connect to your Twitter profile and make it easy for your pinners to follow you there. Think about what your target customers are looking for and start with 10 boards. If you have a blog, set up a board for your bog posts, add one for inspirational quotes or just for fun. Describe each board with keywords searched for by your target customers. Limit your board name to 26 characters. Assign your board to a category. Provide a description for each board, to let people know what the board is all about. Include keywords to make your boards more searchable within Pinterest. Limit your description to 200- 300 characters for more views and repins. Below is one of wedding designer Colin Cowie’s boards. 1| Use your boards to tell a story. 2| Create engaging visual content. Vertical images get more repins. 3| Pin content from your site and pin more than once. let’s say that I pin this blog to “MyMarketor Blog” board, I can pin it again 5 days later to my “Pinterest for Business” board for more exposure. 4| Inspirational quotes, infographics, food related and DIYs pins are extremely popular on Pinterest. Pin inspirational quotes and recipes if it’s applicable. Even if you are not in the food industry, you can always create a food board. 5| Pin tips about your industry. Vertical images get more repins. To create the main image for this blog post, I used an image from Pixabay and designed it using Canva, picture size is 735 X 1102 px. When you add an image to your blog describe your image using keywords that you want the image to rank for and to help search engines find it and fill out the ALT tag. If you leave the ALT tag blank, there is no guarantee that pinners will fill out the description for you when they pin from your website. Because pins automatically include a link back to the source of the image = traffic to your site. To make it easier for your readers to share your images. In your industry, your customers, your competitors’ followers or relevant boards. Don’t forget to follow your followers if applicable. Repin other’s content. You can pin other people’s content directly from your Pinterest feed. Try to pin or repin at least 5 images a day, 1 of those should be content from your website. Add the price in your pin description (with the $ symbol). Consider using buyable pins. The “Buy It” button appears next to the “Pin It” button, once you click your customer will be checked out. Pinterest is not taking a commission fee from the sales. Use Pinterest Ads to promote your pins. According to the official Pinterest help files you can now use hashtags on Pinterest! If you are a retailer, start your holiday boards early (June). When you join a group board you can put your pins in front of a larger audience. Before you join a group board, check their followers and the content quality. You can also create your own group board and invite selected pinners to join. To help you create better content. Pinterest analytics will show you your most popular pins and those which have been driving traffic to your site. Do more of what’s working. Pinterest users are most active in the evening. The best time to pin during the day is 2 to 4 p.m. Eastern. The best time to pin at night is 8 p.m. to 1 a.m. Eastern. A word of caution … Pinterest can be addictive. You can schedule your pins with TailWind to save time. Pinterest the ideal platform for wedding planners, interior decorators travel agencies, and fashion and food business. But, if you have a blog for your business, no matter the industry, take advantage its traffic driving potential. We are not talking one-off traffic either BUT long-term, sustained traffic. Not enough time to make social media work? We are just one click away to HELP YOU GET IT DONE.